Gas turbines for power generation, even with the best co-generation sub-systems, create significant heat loading within the power plant building. 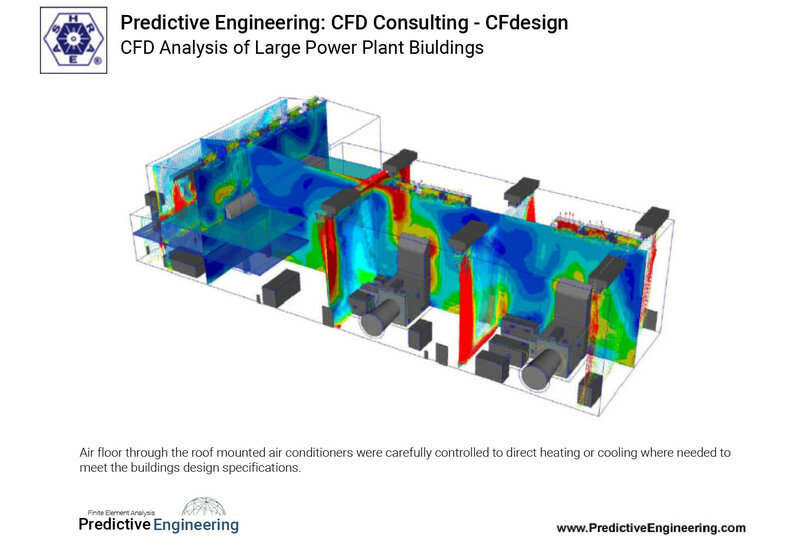 To complicate this matter, new noise standards for power plant buildings has required that these buildings be closed to the free flow of air from the outside. 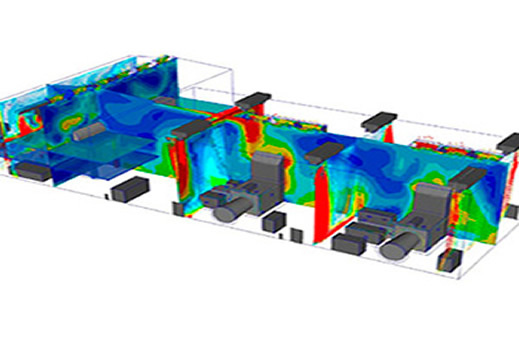 In essence, you have a heat generation source within a closed environment. 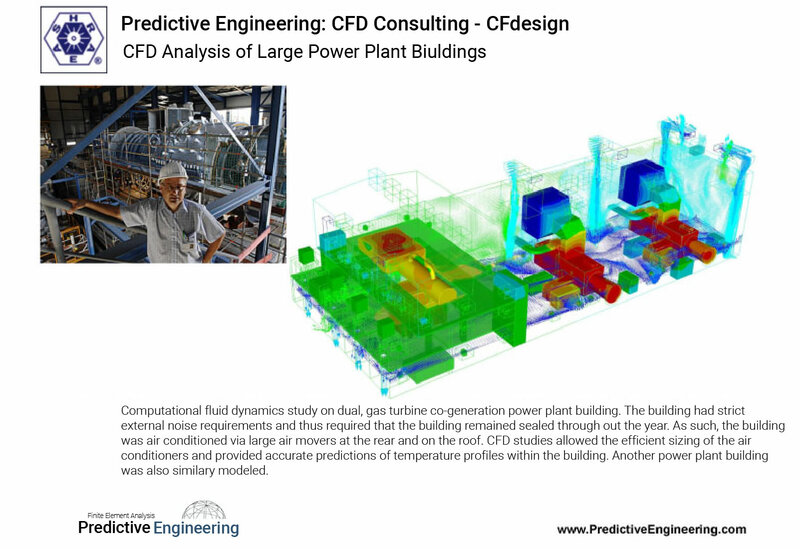 Modern Power Plant Buildings are "air tight"
To obtain tolerable internal operating temperatures through-out the year, a full computational fluid dynamics (CFD) study was done on two large power plant buildings. One building was a standard large hall configuration with the steam co-generation turbine at one end of the building the hall containing two large gas turbines. The other building used one massive gas turbine with a large HRSG (Heat Recovery Steam Generator) feeding to a steam generator. The building also contained two aux. boilers. 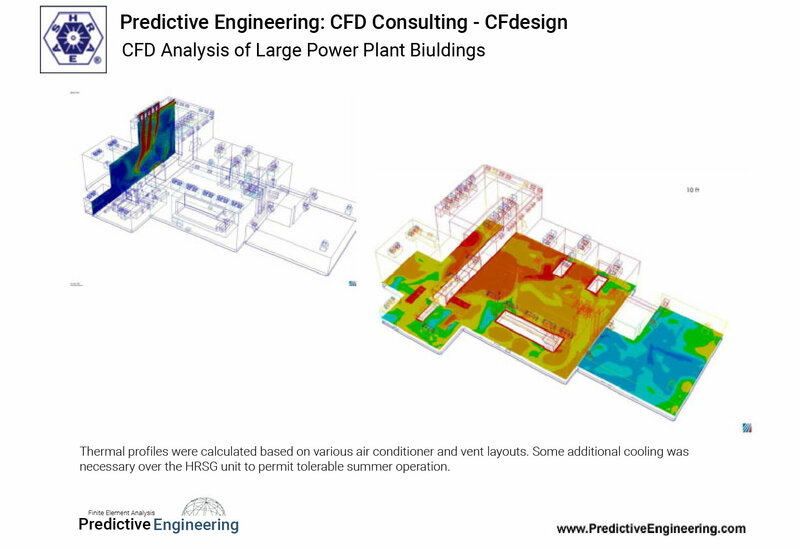 In both buildings, cooling control was the biggest challenge since doors could not be opened during summer due to the noise limitation specification. As such, all cooling was by air conditioners. To limit the cost of air conditioning, only areas where human occupancy might occur were cooled letting other areas be hotter than normal but not to such an extent that safety was compromised. 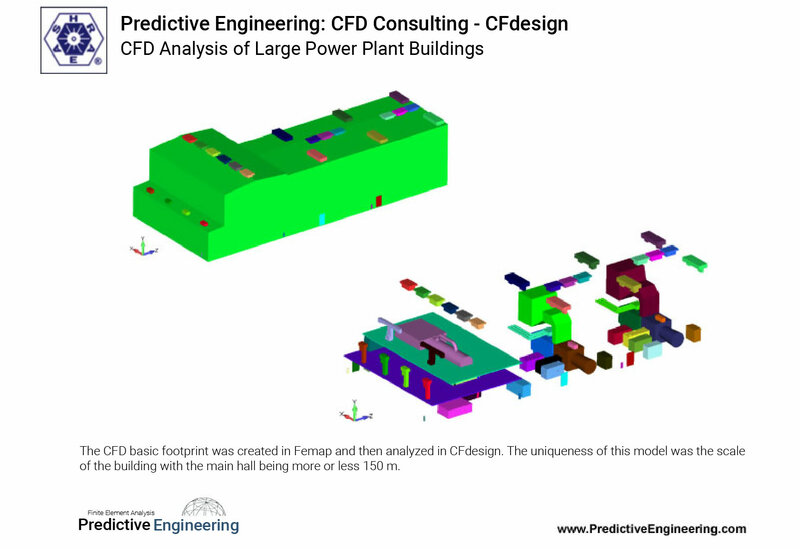 The CFD models were very large running in the range of 10 to 15,000,000 elements. Air flow was managed by placement of air conditioners and vents to the outside since makeup air was part of the equation. Winter conditions were also evaluated with building skin temperatures as low as 1.4 F. The buildings have been placed into service and are operating within the stated specifications as designed. 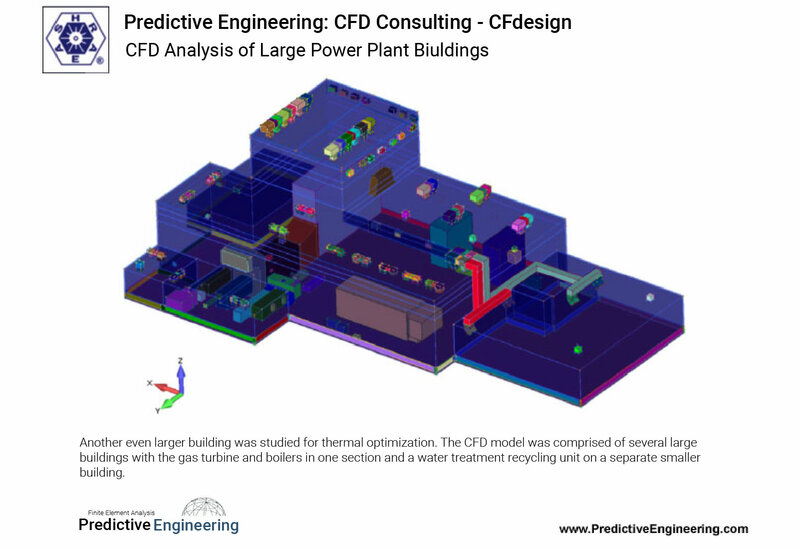 No "in-the-field" modifications were necessary to meet the client's operating temperature ranges.